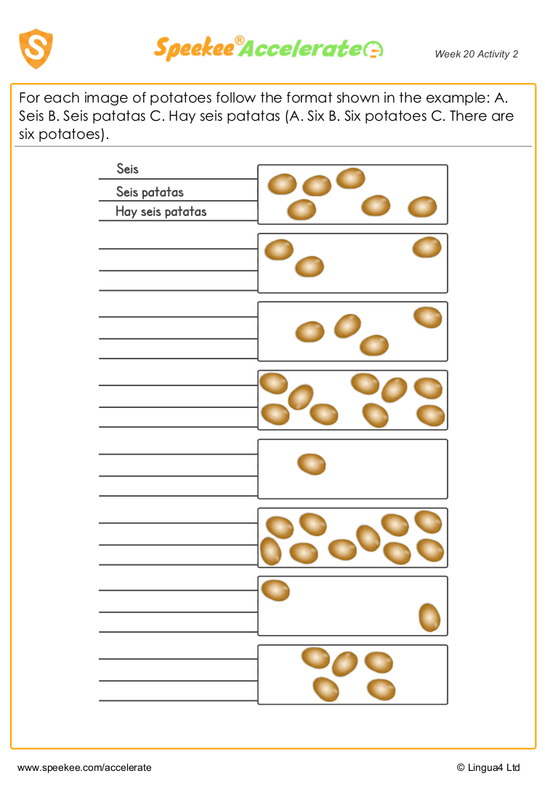 For each image of potatoes follow the format shown in the example: A. Seis B. Seis patatas C. Hay seis patatas (A. Six B. Six potatoes C. There are six potatoes).